Rob and Debbie are our "anchors" back home. We've been friends for a long time and they've supported us in living our dream. David and Jeannie of Siren, the Cal 39 that Derrick crewed on in the Pacific Cup race to Hawaii back in 1998. Dave and Jeannie are living in San Diego and we got together a few times and they sent us off with all sorts of information and gifts. Ken and Monica of Endeavor were the first new friends we made on our way down the coast. We met them first on Santa Cruz Island in Sept 2011 and then again at Catalina. They had us over for dinner at their house in San Diego. 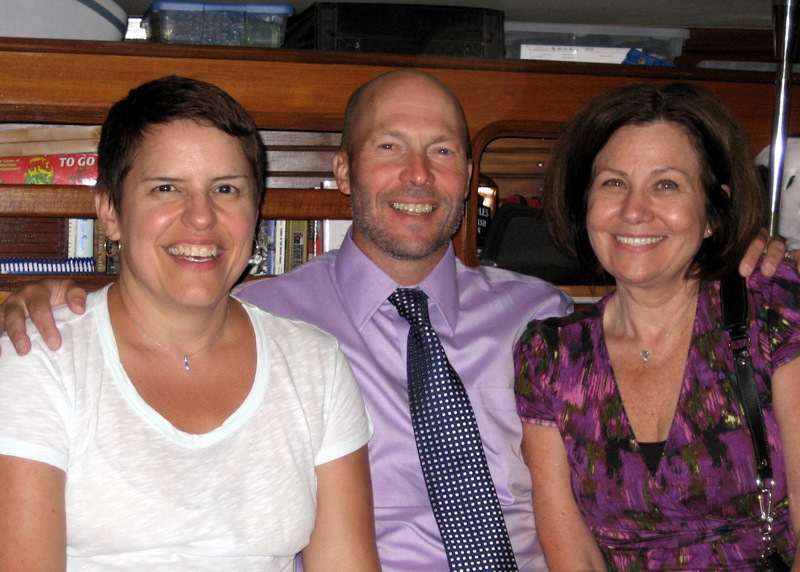 We again visited Ken and Monica in San Diego in July 2014 and the friendship was cemented with talk of them someday joining us in Mexico on their new boat Dulcinea. 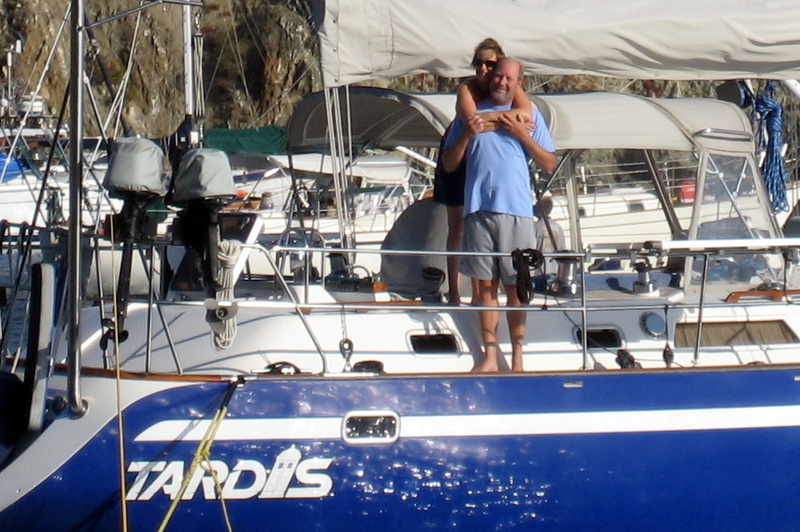 Elaine and Jamie of Tardis met us at Cherry Cove on Catalina Island. We know them from Alameda and they've lived the last several years in San Diego. We hope to see them in Mexico on their boat in 2013. 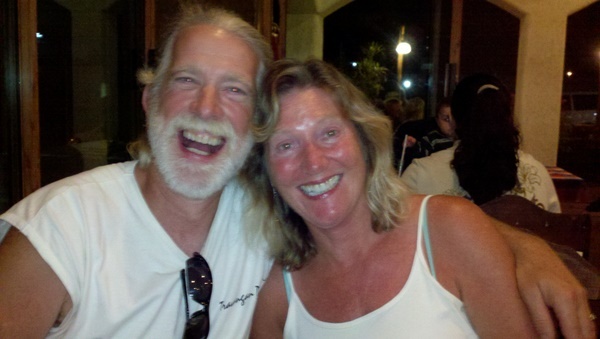 Mike and Judy of Pura Vida were our dock neighbors in San Diego in Oct 2011 before the start of the Baja HaHa and then we met up again in La Paz and continue to travel down the coast. We always have a great time with Mike and Judy, they have become lifelong friends. Rosanna and Rick of Tension Reliever we first met at the Downwind Marine Baja HaHa kickoff party in San Diego in Oct 2011. We became somewhat inseparable until they said goodbye to us in La Cruz in mid-January 2012 as they headed south toward the Panama canal. I have a feeling we will meet again. Jackie and Leif of Dodger Two. We bonded with them after our common experience in the wee hours of the morning in Balandra Bay (see post from Nov. 22, 2011 titled "Pineapple Express"). Chris and Liz of Espiritu. We met them first in La Cruz in Jan 2012 and we went on a few hikes with them. We are hoping to hook up again before they head south to El Salvador for the summer. Kevan of Alex II we met in La Cruz Marina in Jan 2012. Kevan has become a fast friend and it's always fun to stop by to chat only to leave hours later. Kevan sold his boat and returned to New Zealand in spring of 2012 only to return to Mexico and purchase Entre Nous in January 2013. We spent the summer in the Sea with Kevan in 2013 and he again sold his boat to return to England to deal with family matters. We met Nicki and John of Seychelles on the VHF radio as we were planning the crossing from Mazatlan to Baja. We were part of a group of four boats who did the crossing together. We then spent about two weeks island hopping near La Paz (along with Pura Vida) and got to know each other and had good times. We hope to be spending more time with them this summer in the Sea. We first met Rick and Pam of Hotel California when they were on our dock at Gate 11 in Alameda. Since running into them in Agua Verde, we have become good friends and spend hours playing Baja Rummy and laughing. Rick has been a valued adviser to Derrick on mechanical issues. 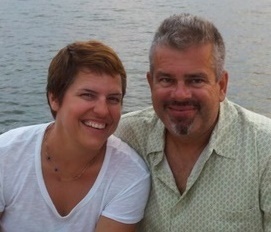 Rick and Pam plan to spend the summer in the Sea of Cortez where we will probably have many more hours of laughs ahead. Rick and Kyra of Nyon we first met at Puerto Ballandra on Isla Carmen on our way north for the summer of 2012. Along with us, they were on one of the few boats who stay the entire summer in the northern Sea of Cortez. Our friendship deepened over the months leading up to their departure (and crossing of the Pacific Ocean) for the South Pacific - we were very sad to see them leave but happy for the adventures they have ahead. Diane and Terry of Harmony were on the same Baja HaHa (2011) as us. Like us, they have spent the last two summers in the Sea of Cortez but we didn't really get to know them until last summer when we spent some time together at Isla San Marcos. We've since become good friends, Baja Rummy partners and have been doing much buddy boating as we head north again for the summer (2014).